Coordinator of the Unit of Cancer Epidemiology, Belgian Cancer Centre, Scientific Institute of Public Health, Brussels, Belgium. Marc Arbyn has diplomas of MD, MSc and Dr in tropical medicine. After a career in Africa with Médecins Sans Frontières, he got involved in cancer research in Europe. He coordinated the evaluation of new screening methods in the framework of the EU Network of Cervical Cancer Screening and is editor- of the European Guidelines for Cervical Cancer Screening and associated Supplements on HPV screening. His main activity deals with systematic reviews, Cochrane reviews and meta-analyses regarding cervical cancer screening, diagnosis and treatment of screen detected cervical cancer precursors and HPV vaccination. He is steering group member or coordinator of several international networks involved in biobank-based cancer research that addresses etiological questions and possible application of biomarkers in screening, diagnosis and prognosis prediction and offers epidemiological support to health authorities of about twenty countries regarding implementation of cervical cancer prevention. 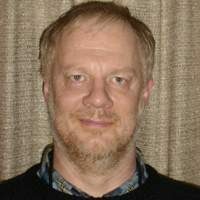 Marc Arbyn is author of >200 papers, published in peer-reviewed journals. He is also specialised in trend analysis and age-cohort-period modelling. He is coordinator of the Unit of Cancer Epidemiology, which is part of the Belgian Cancer Centre at the Scientific Institute of Public Health in Brussels. 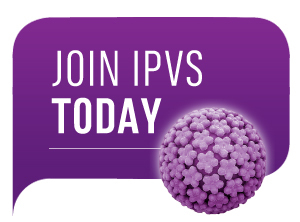 He joined the International Papillomavirus Society in order to share experiences, and to set up collaborations with colleagues interested in control of HPV-related disease. His particular interest is to substantiate a wide forum to assess and discuss evidence to guide the best possible policy to prevent and treat pre-cancer and cancer due to papillomaviruses.